http://www.tenmilerivertrader.com/blog/wp-admin/post-new.phpHere is another pre-1960 NYS Scout camp, this one is a dated three inch round patch from Crumhorn Mountain Scout Camp 1955. Crumhorn Mountain, changed its name in 1989 to Camp Henderson then part of Otschodela Council from Oneonta, New York. Picked this up at the Williamsville TOR earlier this month. 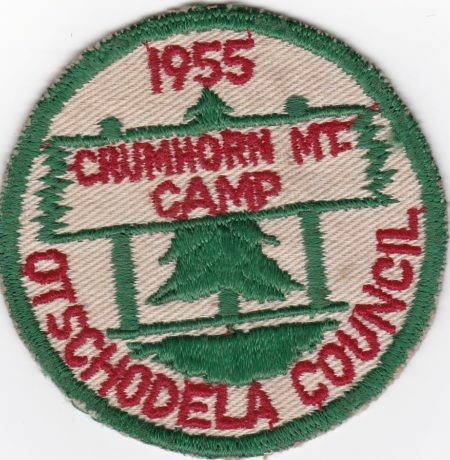 Anyone have other examples of 1950’s Crumhorn Mountain Camp patches?